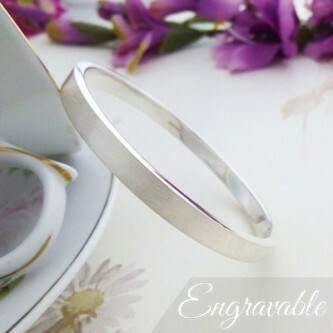 A wonderful solid, square sterling silver bangle that is edgy, contepmorary and looks great on! 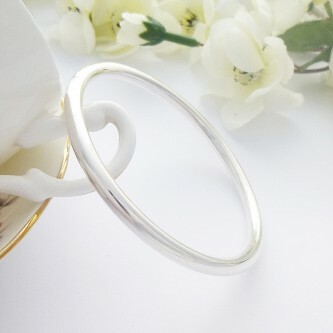 A gorgeous ladies round solid 925 sterling silver bangle for bigger wrists, handmade in the West Country! 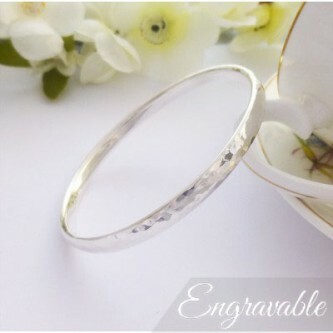 Edie large solid bangle with a hand hammered finish on the exterior, quality and unique! 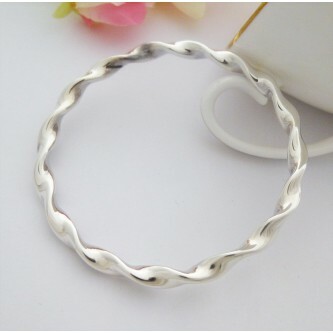 A timeless classic, highly polished solid 925 sterling silver with a wonderful feel! 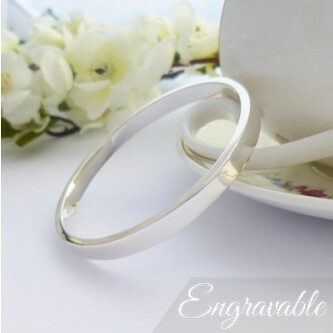 An really beautiful solid, heavy, rounded bangle that look amazing on, a very popular bangle! 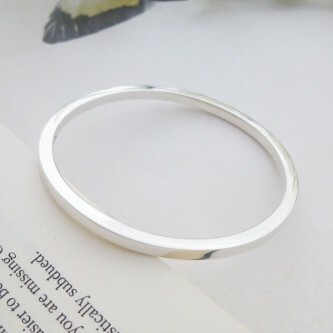 A beautiful and unusual solid sterling silver bangle with a rectangular cross section and frosted exterior, fabulous!